This workshop is perfect for anyone with a passion for stationery or snail mail, or any bride/groom to be! In this class you'll be introduced to the essential kit for modern calligraphy, learn the basic strokes before progressing to creating and mastering letterforms and words, then start to establish your own style. 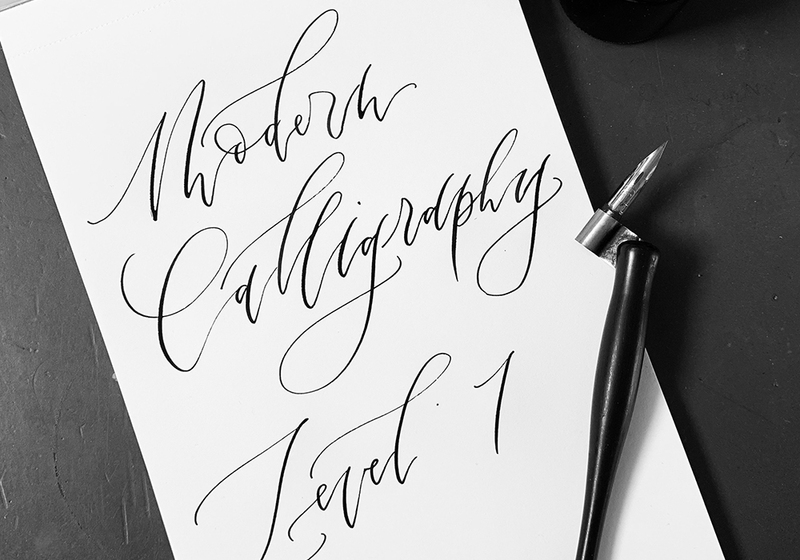 With demonstrations and plenty of one-to-one tuition you'll be well on your modern calligraphy journey by the time you leave. You'll be given your own modern calligraphy kit that you can take away and use to practise everything you've learned. Price includes equipment and take home kit, and light refreshments. No previous calligraphy experience necessary. Please wear suitable clothing. It's not a particularly messy class, although we work with black ink that may not come out of clothes, so please don't wear anything you would mind getting inky! After studying copperplate and working on her own calligraphy, Imogen has developed a unique modern calligraphy style and demand for her work has grown. She started teaching the UK's first Modern Calligraphy workshops back in the beginning of 2014 as there were no opportunities to learn modern calligraphy in the UK, since then she has passed on her knowledge and skills to thousands of people, teaching workshops in modern calligraphy in London and across the UK. April 2017 saw the publication of her first book 'Modern Calligraphy Workshop' published by Quadrille/Chronicle.